Pacco Quest 3D is a 3D remake of famous Pac-Man game with new story and new revolutionary gameplay! Nice 3D graphics and visual effects, beautiful music and funny sound effects, many enemies and monsters, 6 episodes and 60 outstanding levels of fun! There are 6 different episodes: Mysterious Forest, Rotten Swamp, Darkville Town, Old Town Cemetery, Enchanted Courtyard and Castle of the Dark- Real 3D arcade based on Pac-Man game with new great gameplay- Great 3D graphics and music- 60 levels of adventure- Smart enemies, exciting power-ups and bonuses- and many more...If you enjoy playing trial version of Pacco Quest 3D you canpurchase the Full version of the game!Pacco Quest 3D homepage with more screenshots - http://www.alfagames.com/pacco3d.htmlThanks for downloading Pacco Quest 3D.We hope you will enjoy the game! 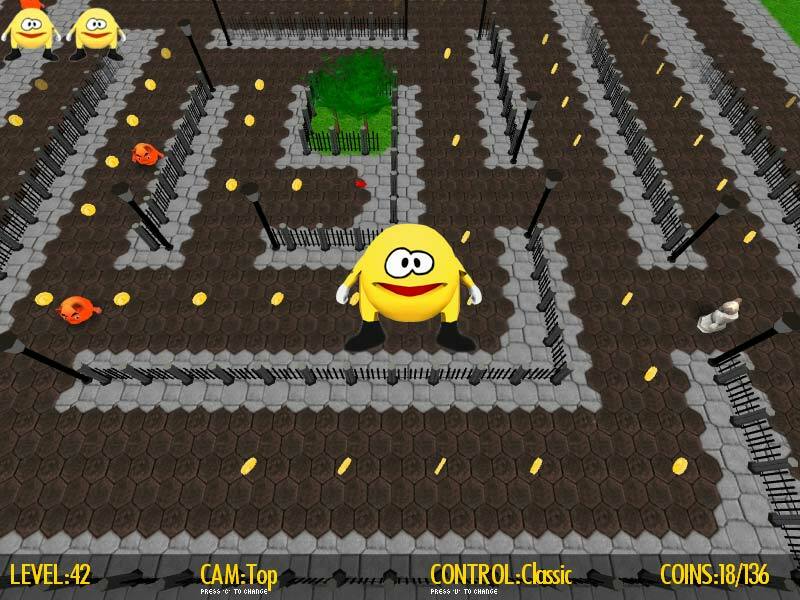 pacman,pac,man,game,pacco,3d,quest,pacmans,remake,arcade,adventure Pacco Quest 3D is a fantastic 3D remake of famous PacMan game with new story and gameplay! Nice 3D graphics and visual effects, beautiful music and sound effects, many enemies and monsters, 6 episodes and 60 outstanding levels of fun! Real 3d arcade!